WALPOLE, MA -- The Wizards will get back to work with a busy week ahead of them. 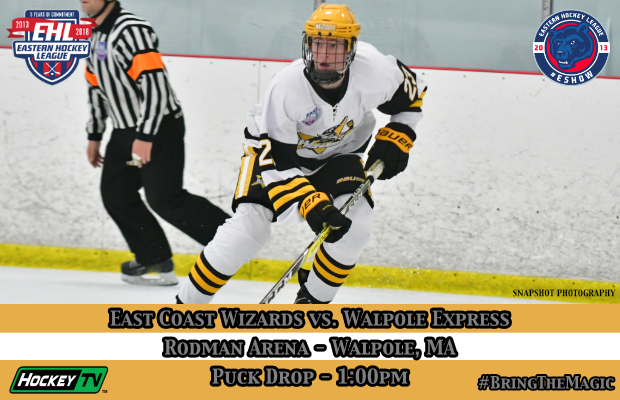 It all starts this afternoon when the Wizards will travel down to Walpole for a divisional matchup against the Express at 12:30pm. This will mark the third meeting between the 2 teams this season, with both teams taking care of business at home earlier in the year. 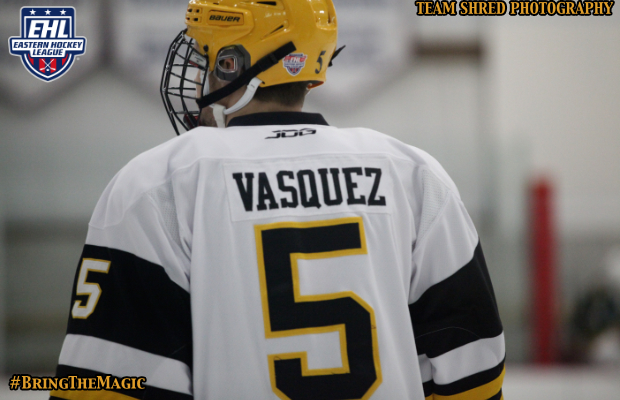 The Wizards won the first matchup in Bedford by a score of 5-3, after dominating the 3rd period with 3 goals. Korbinian Lutz was a rock that afternoon in net, stopping 39 of 42 shots in the win. The Express would go on to win the next matchup two days later down in Walpole by the score of 6-3, to even the season series at 1-1. Since that loss in Walpole a couple weeks ago, the Wizards have won 4 out of their last 5 games and currently sit in 3rd place in the Boston Division with a record of 10-7-0. The Express on the other hand, are on the heels of a 5-1 loss in Tewksbury against the Boston Jr. Rangers on Sunday. With that loss, the Express have dropped down to 2nd place in the Boston Division with 26 points, which puts them 6 points ahead of the Wizards. The Wizards will look to gain some ground in the Boston Division with a win on Wednesday and put together some momentum to take them into the showcase this weekend. After this matchup, the two division rivals won’t face each other until December 12th, with another afternoon matchup in Walpole.